Every so often, I am hit with the "bug" to revamp, renovate, repaint, refurnish my house. It would not really be much of a problem if the itch to renovate my house comes every 5 years or so. Oh no. I am constantly on the lookout on new and unique ways to improve my abode and that is, everyday. Why everyday? Well, I am literally bombarded with websites, magazines, TV shows, brochures and books relating to home improvement. If only I have the means (and energy) to renovate at least every two to three years, oh wow! That would be great. A couple of days ago, I chanced upon a truly remarkable Chicago custom furniture shop. 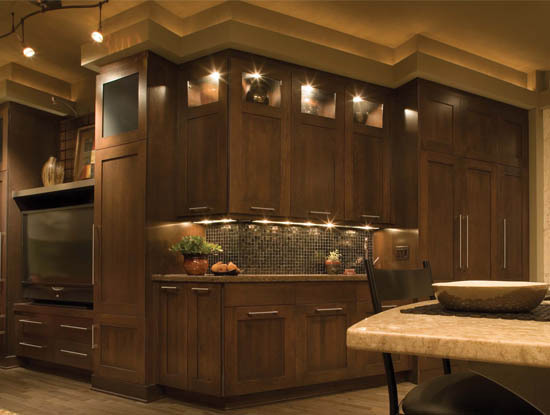 The website specializes in everything wooden -from flooring to cabinets to furniture. I so love wood in my house. As a matter of fact, wood is the prime material in my house, from 8" V-cut planks of the exterior wall, to the Narra plywood interior finishing to the Guijo T&G flooring. See the kitchen cabinet I sourced from the site? Love it!